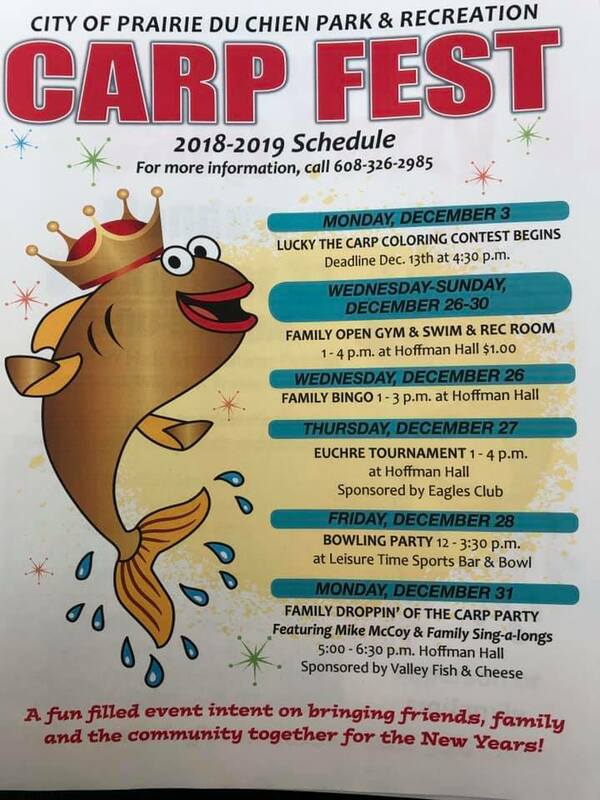 The City of Prairie du Chien Parks and Recreation Department and the Dropping of the Carp Committee is proud to announce this year’s winners of the Lucky the Carp Coloring Contest. 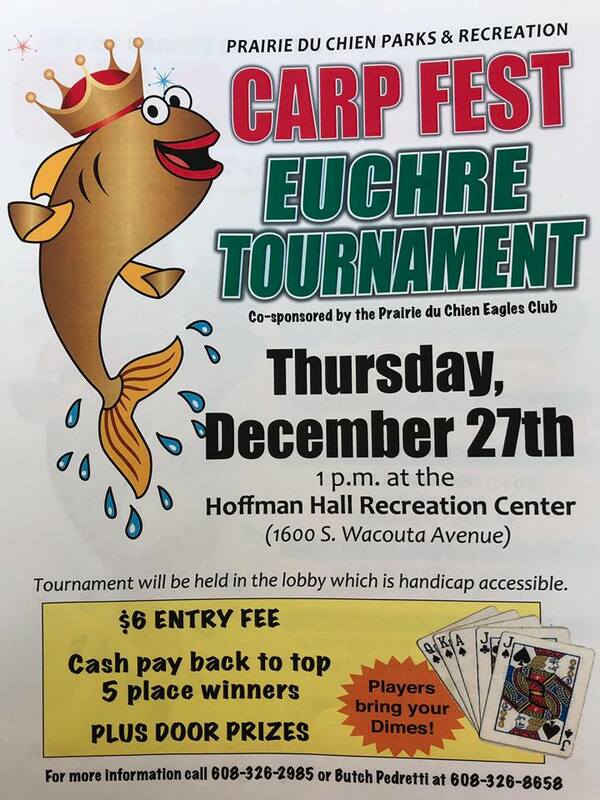 Parks and Recreation Director Mike Ulrich said the committee had 54 total entries and while they were all great the top winners had pictures that really were imaginative and fun that represented CarpFest! They all are currently on display(along with Lucky Jr.) at Hoffman Hall and will also be shown at Lucky Park on New Years Eve night at Lucky Park where the real Lucky will be lowered. 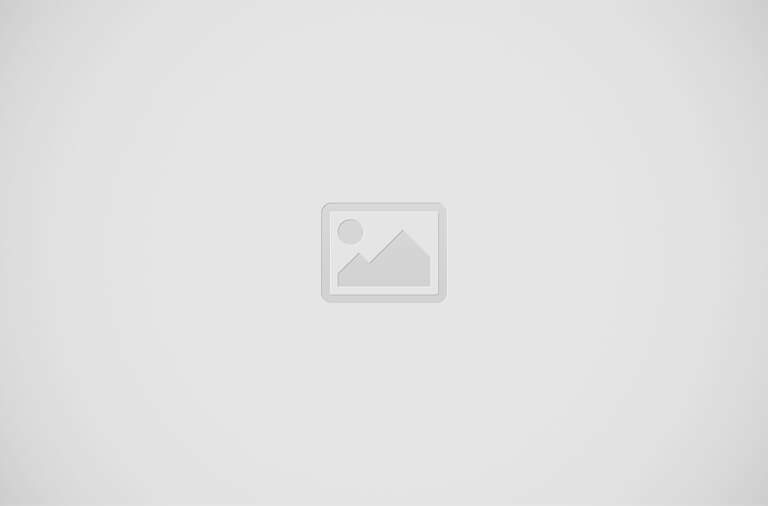 Photo includes Front Lt to rt. Leola Ledesma, Kaydence Comer, Zackkary Suthers. Back Row Lt. to Rt. Carp Committee member Nate Gilberts, Carp Master Shawn Redman, Carp Founder Tom Nelson. 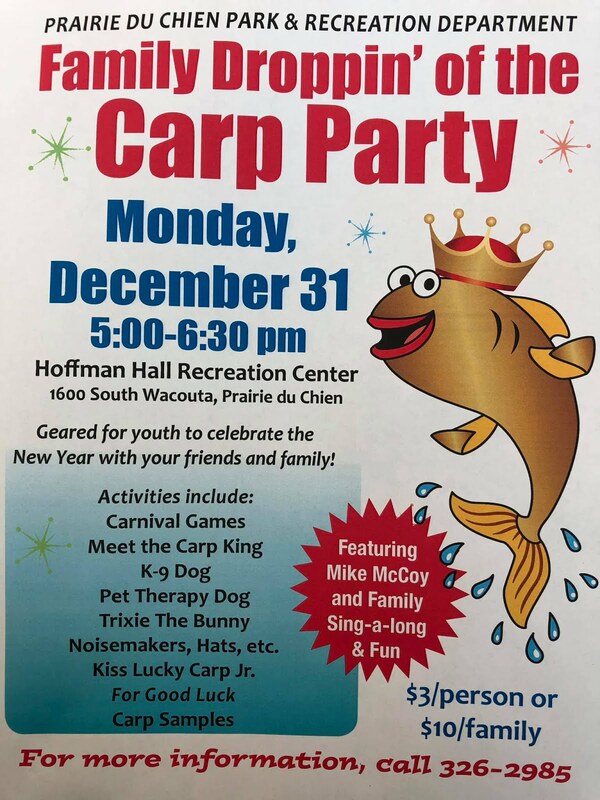 Carp Master Shawn Redman says to all get ready for the New Year and CARPE DIEM!